Men’s haircut styles change every decade and lately men are embracing longer, voluminous hair. 2019 promises to stay true to this trend with undercuts and modern pompadours dominating the scene. Stylists say there are no signs of this trend ending soon. Below are the hottest mens haircut styles for 2019. Undercuts and fades have been in for the last couple years, so it’s important to note the difference between them. An undercut is very short on the sides and long at the top, keeping a high contrast in between. A fade is a style where the hair, well, fades gradually from the bottom up. As you can see, the differences are subtle, but unique. 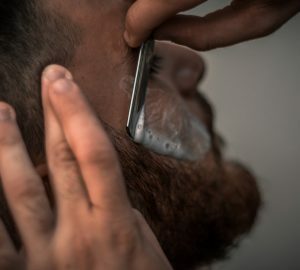 A skilled barber will help you select the right cut for your personal style. No doubt you’ve seen these before. Pompadours were first popular with greasers in the 1950s, but they’ve come back with a modern twist. 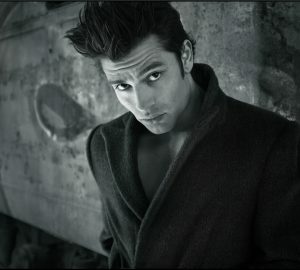 A pompadour is characterized by hair that has been slicked back with a large puff in the front. RELATED: Did Russell Westbrook Seriously Wear This? Though a quiff is similar to a pompadour, it actually borrows characteristics from a mohawk. Quiffs start long at the front and short in the back. With longer hair being the continuous trend, men are letting their locks grow out. Here are some tresses you can expect to see and aspire to. These styles may be all the rage now, but you should always feel free to break away and develop your own look. After all, trends are started by leaders, not followers. If you need tips on proper hair care, check out our article 4 Simple Steps to Better Hair. What are your thoughts on our 2019 mens haircut styles? Let us know in the comments!